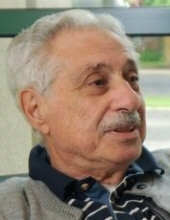 Frank T. “Cheech” Nicoletti, 85, of East Stroudsburg, passed away on Friday, March 15, 2019 at Lehigh Valley Hospital - Pocono in East Stroudsburg. He was the husband of Sylvia (Vincenti) Nicoletti ,who preceded him in death. Born February 11, 1934 in Roseto, he was the son of the late Pasquale and Rose (Franchino) Nicoletti. After graduating from Bangor High School in 1952, Frank joined the Army. He attended barber School in Maryland on the GI Bill, then moved to East Stroudsburg in 1963 with his wife and opened Nicoletti’s Barber Shop on North Courtland Street. He retired in 2007. In 1973, Frank along with the late Walter Knowles and other volunteers, founded the East Stroudsburg Youth Association (ESYA). ESYA grew from a simple midget football program to presently serving over 40,000 youths in eight year -round programs. In 2001, the ESYA building was named the Frank T. Nicoletti Clubhouse, and Smithfield Township named the Minisink Park Fields the Frank T. Nicoletti Ballfields because of Frank’s efforts in raising funds for the project. Frank has received many awards on both the local and state level for his community service over the years. Some of these include: The Pennsylvania Youth Education Association Public Education Promoter Award in 1983, The Pocono Mountain Chamber of Commerce Humanitarian Award in 1989, Exchange Club of the Pocono Mountains Book of Gold Deed’s Award in 1993, and the Greater Pocono Basketball Tournament Outstanding Services to Youth Award in 2000. He was an unselfish volunteer for the youths of East Stroudsburg and never received any money for his dedication, enthusiasm and tireless efforts. He is survived by a nephew, Pat Nicoletti ,his wife Ann and their children, Carmeron and Erica of Bangor, a niece Anna, sister-in-law, Dorothy “Dot” Nicoletti also of Bangor, and his companion of 10 years, Genevieve Post. He was preceded in death by a sister, Theresa Nicoletti on 2012 and a brother, Pasquale “Pat” Nicoletti in 2013. A Mass of Christian Burial will be celebrated at 10:00 a.m. on Thursday, March 21 at the Church of Saint Matthew, 200 Brodhead Avenue in East Stroudsburg with Father Jerry Shantillo as celebrant. There will be a viewing on Wednesday, March 20 from 7:00 to 8:30 p.m. at the Bensing-Thomas Funeral Home, 401 N. 5th Street, Stroudsburg, and on Thursday March 21, 2019 from 9:00am until the time of Mass at church. Burial with Military Honors will follow at Our Lady of Mount Carmel New Catholic Cemetery, Roseto. To plant a tree in memory of Frank T. "Cheech" Nicoletti, please visit our Tribute Store. "Email Address" would like to share the life celebration of Frank T. "Cheech" Nicoletti. Click on the "link" to go to share a favorite memory or leave a condolence message for the family.